Negroni Sbagliato – a classic gin cocktail gets a twist with sparkling wine! Switching up gin for a sparkling wine or champagne gives this pretty red cocktail a fun bubbly flare. Sparkling wine, Campari and vermouth make an amazing cocktail! 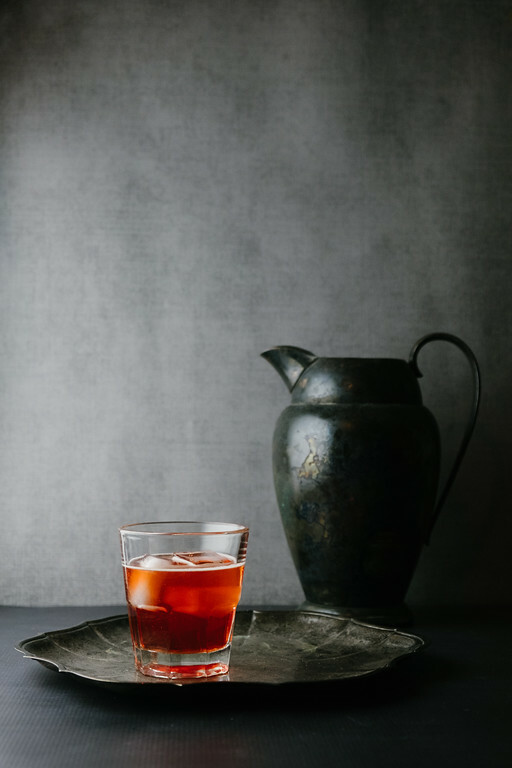 Click here to pin this Negroni Sbagliato now! Negroni Sbagliato – Your New Favorite Negroni! Last week, I told you that instead of drinking champagne at midnight for New Year’s Eve, we made sparkling wine cocktails all night long. One of those was this Grapefruit Mimosa and a French 75 Cocktail and other one was the cocktail that I bring you today, the Negroni Sbagliato. As much as loved the other cocktails we made that night, this is the one that we made two of. Yep, we went back for seconds with this one! You might be wondering what in the world Sbagliato means. I know I was. It means broken or messed up or mistaken. In this case we are being messed up by using sparkling wine instead of gin! Now, I am a huge gin lover, but this negroni was amazing! A typical Negroni is made with gin, vermouth and Campari. This broken Negroni is made with sparkling wine, vermouth, and Campari. 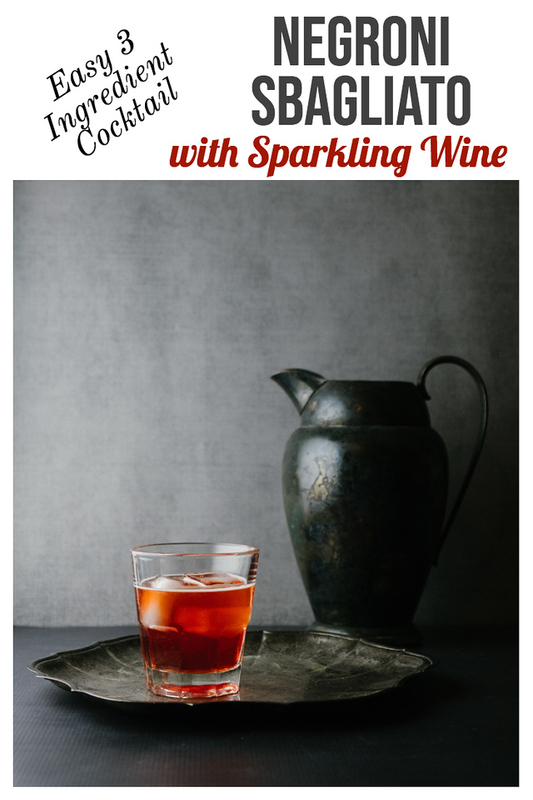 This has such a pretty color, and is so festive with the sparkling wine, this Negroni Sbagliato would also be wonderful for Valentine’s Day! I found this recipe at Imbibe. If you love Negronis, I also found 8 more variations from Saveur magazine. This recipe is so simple too. Just stir the Vermouth and Campari in a rocks glass and top with the sparkling wine! Garnish with an orange twist and enjoy! If you know someone that loves Negronis – these Negroni King t-shirt or Negroni Queen t-shirts are fun! A negroni gets a festive touch with sparkling wine in this Negroni Sbagliato. Fill a rocks glass with ice. Combine the Campari and Sweet Vermouth and top with the sparkling wine. Garnish with an orange twist. Update Notes: This was originally published in 2017 and has been updated for 2018. Impressive that you know this drink. Do you leave in L.A.? The proper garnish is two olives on a spear. The salty oily notes bring the drink to another level and is the “all in” mistake when making a Negroni Sbagliato. Guarantee the olives are part of the original recipe. Try it and see. I love Campari so this colorful drink appeals to me. Easy to make also. Your photos are lovely Pam.